I know that title is a mouthful, but these cookies are a mouthful worth having! This recipe is actually adapted from the Flat Belly Diet book – I made just a few changes to make them a little easier to make/improve the flavor. As such, these little nuggets of goodness are actually healthy. I know, right? Sure doesn’t look it! Well, they are. 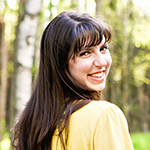 They’re packed full of healthy fats (olive oil, walnuts), dark chocolate, and dried fruit. Two of them make a roughly 250 calorie snack, and they’re easy to grab and go, so they’ve become one of our favorites since we started making changes a few months ago. 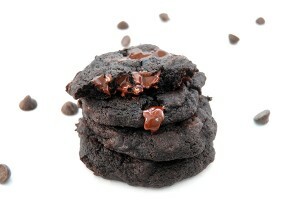 And not only are they good for your waistline, the flavor on these cookies is amazing. 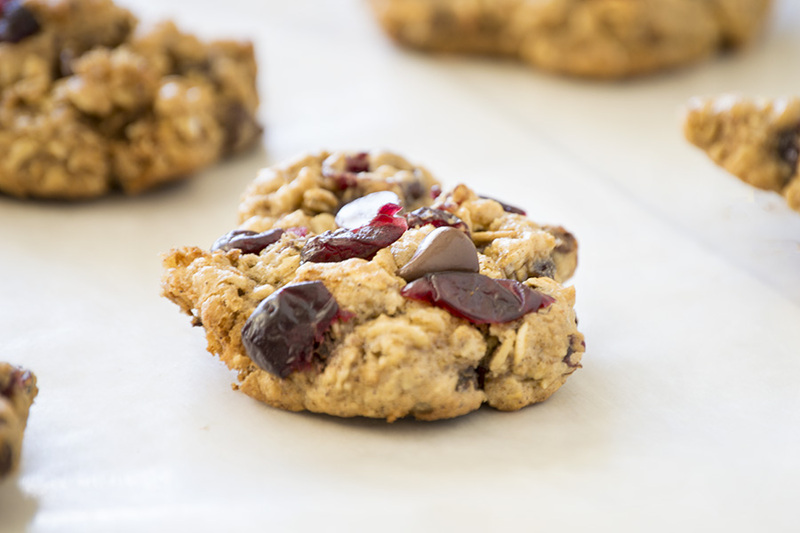 There’s the sweetness of the cookie base, and that’s set off by the tanginess of the cranberries. Dark chocolate adds richness, and the oats round out the texture. Did I mention I love these? 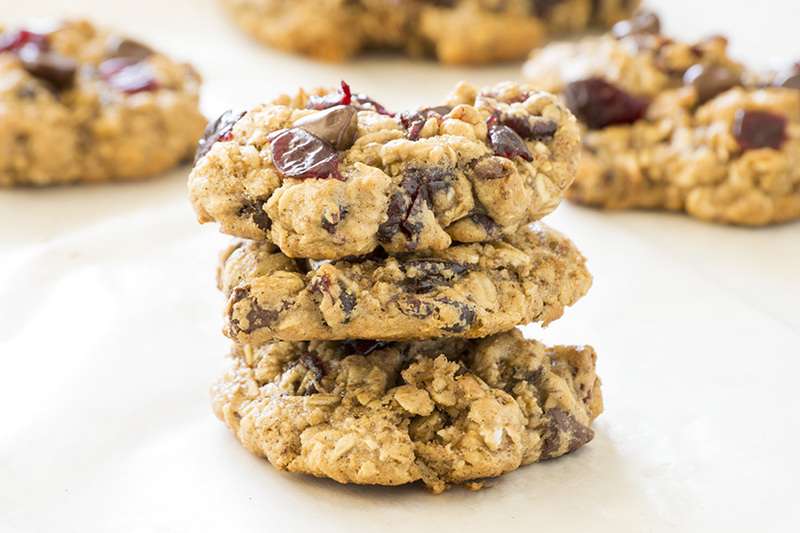 Oatmeal chocolate chip cookies with tangy cranberries and crunchy walnuts! In a bowl, beat together everything except cranberries, walnuts, and chocolate chips. Add in cranberries, walnuts, and chocolate chips. Mix until well combined. Drop by rounded spoonfuls on a greased or lined baking sheet. 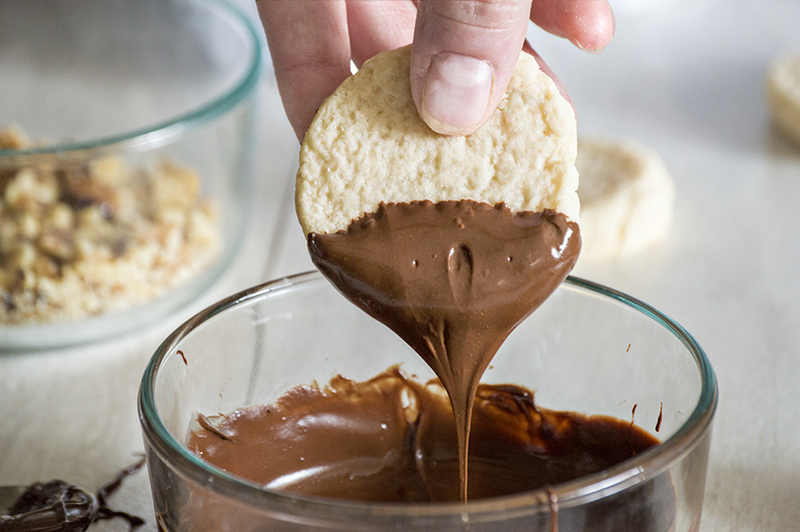 You can exchange the dark chocolate chips for semi-sweet, milk, or white to change up the flavor of the cookies! Looking for more yummy cookies? Check these out! 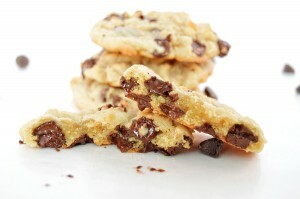 Thanks so much Diane for this chocolate chip recipe.